Climate change. Rapid urbanization. Species extinction. Inequity. 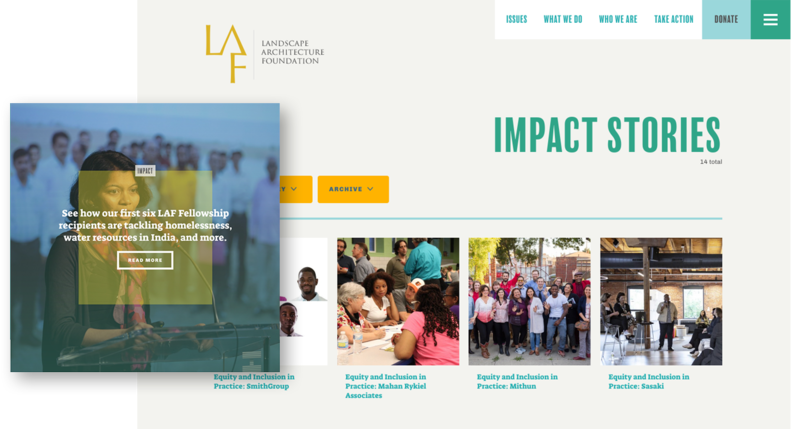 With a declaration to confront these crucial issues, the Landscape Architecture Foundation (LAF) needed a website to inspire action, compelling landscape architects around the world to strive for more sustainable solutions. 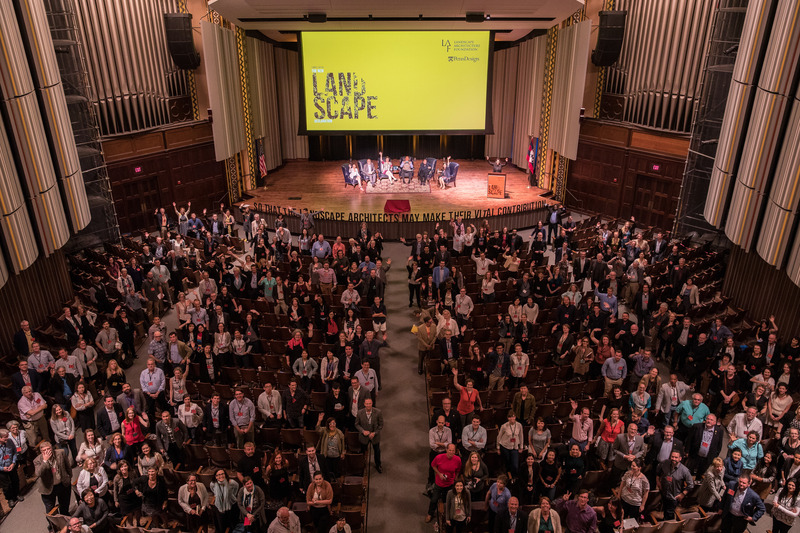 On the eve of its 50th anniversary, LAF gathered industry leaders to reflect on the past and create a bold plan for the future. 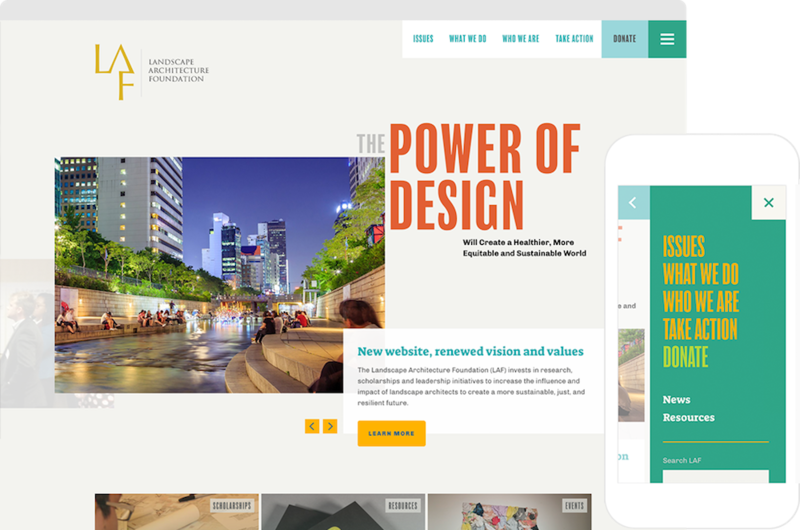 The result, the New Landscape Declaration, is a call to action and the inspiration behind the organization’s new website. LAF’s vision, mission, and values are integrated throughout the site to give visitors a clear understanding of the organization’s purpose. This allows site managers to showcase timely content without taking additional time and space to explain the who, what, and why. The goal of LAF’s site was not to create a brochure of the organizational information but to move the industry to action. 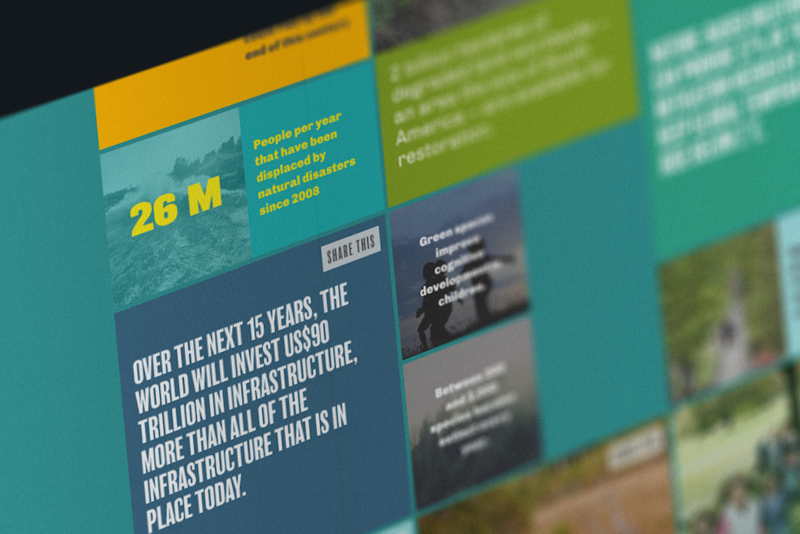 At the site’s core, the New Landscape Declaration invites visitors to participate in the change, whether through research initiatives, partnerships, or donations.